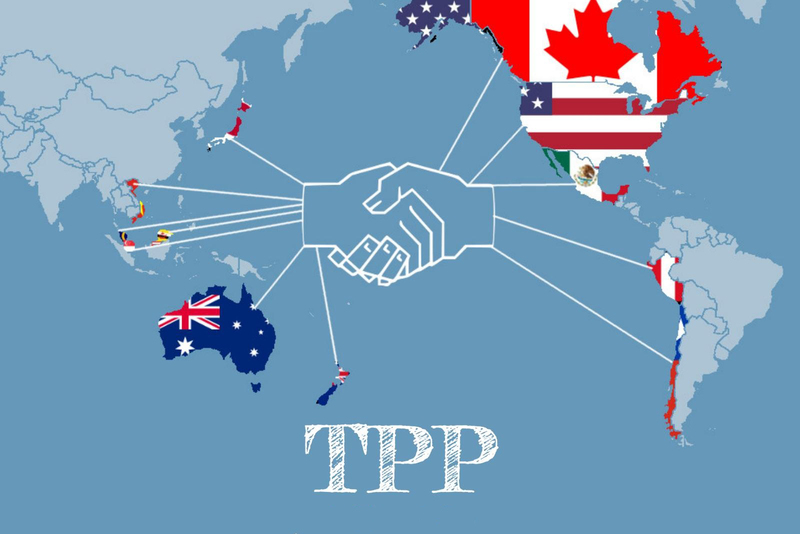 The Trans-Pacific Partnership: Where Do You Stand? It will create jobs in the United States and improve the economy. Economists forecast that the TPP will increase exports by 5 billion dollars, money that will be used to both create business, jobs, and wealth in the United States. It will accomplish this by removing roughly 18,000 tariffs in the Pacific, reducing costs and allowing American businesses to generate higher returns on their sales. While this may seem like a benefit we cannot afford, consider the fact that roughly 80% of tariffs with these 12 countries have been withdrawn prior to the implementation of the TPP. This will prove fairer to American business and make it easier for them to compete. US workers are expected to see a raise in income of about 77 billion dollars.It will help the American automotive industry by reducing the protective tariffs on automobiles in countries like Japan, making it easier to sell American cars to them and further aiding the American automobile industry. It has strategic value against China. If you haven’t notice, China is the elephant in the room of this deal. More specifically, they are the elephant outside of the room, as they were purposefully left out of the deal. This economic push has been a part of the Obama administration’s pivot to the Pacific, finding that China’s leverage over the United States has been increasing every day. This deal forms a unified front to compete against China economically in the region, led by the United States. It will create allies, and it will isolate China, preventing them from throwing their weight around during negotiations, and making it more likely that they will be careful not to rock any boats in the foreseeable future. China’s strength comes from its economic girth, and the threat of replacing the Chinese market with others will force it to negotiate from a weaker position in the international arena. These benefits are almost unknown, but it is agreed that it will mostly be positive for the United States. It helps poor people in poor countries. State-owned enterprises must comply with trade standards that mandate protecting their workers. Effectively, many countries that did not observe or allow unions to form before, must allow unionization now in order to comply with the TPP. Furthermore, most of these countries will observe benefits to poorest people, allowing them to find suitable, better paying jobs than before the TPP’s implementation. While NAFTA did hurt a considerable amount of people in Mexico, it paled in comparison to the kind of employment requirements the TPP will mandate of its parties. The truth is, measuring NAFTA’s effects on Mexico as an example of what the TPP will do won’t do the ambitious agreement justice. This is truly a whole other animal. For more information on human rights under the TPP, click here for another article written by one of our staffers, Jeremy Goldstein. All countries have agreed to cut down on wildlife trafficking, both marine and on land. It prevents environmental abuses. If a country does not comply with its duties under the TPP, they will be subject to “trade retaliation”, which is fancy word for voiding the parties’ trade responsibilities to the injuring country until they comply with the TPP. So effectively, countries that aren’t doing their fair share to save the Earth among the TPP will be subject to losing their privileges under the agreement. While it might be hard to imagine countries bring claims against others for these environmental violations, it would allow the party to implement trade barriers against the violating country, scoring points with local interest groups. There are reasons to do it, and rest assured it will happen. The frequency is the only real question on everybody’s minds, let alone how often violations will even occur. It will kill jobs in the United States, and most of the benefits will be felt by the richest. While there will be gains for workers across the board in the United States, most of that gain will go to workers making more than 88,000 dollars a year. This is partly because of the stronger international protections being offered to intangible property rights, making it even easier for the owners of that property to reap larger gains. Moreover, just like with NAFTA, there will be US jobs that will ship overseas, it is a major sacrifice of any trade deal. Particularly, manufacturing and textiles will feel the brunt of the move, but no industry will be free either. Even the service industry will send some jobs overseas. Overall, trickle-down economics is the major argument in favor of the TPP, but its application in reality has been brought to question by major economists including Robert Reich and Jeffery Sachs. Foreign businesses will be able to sue the United States outside American courts. It might surprise many to learn that this particular provision was implemented by American companies specifically. The primary reason behind investor-state arbitration provisions in trade agreements is to circumvent corruption. Corrupt governments make lawsuits practically impossible to sustain, forcing foreign companies trying to enter those markets to incur immeasurable costs. These provisions allow businesses to circumvent corrupt government practices and try laws under fairer arbitration tribunals. The arbitration award is granted to the business if the country was found to be in violation of the TPP, and the award is enforced by allowing all signatories of the treaty to implement trade restrictions as “trade retaliation” for not paying damages, along with measures under the New York Convention. This may seem like a huge win for big business, but it makes it easier for smaller businesses to enter foreign markets as well by reducing the costs of potential litigation in a corrupt country. While the United States will be suable by foreign businesses, it is worth noting that under NAFTA, the United States has never lost an investor-arbitration claim. If anything, the bigger potential for abuse will be against foreign governments who attempt to implement good policy in the name of public welfare, but they get attacked because of the heightened costs to foreign businesses. While that abuse remains, exceptions to investor-state arbitration were put into the TPP, such as in the tobacco industry. Foreign businesses will be allowed to use investor-state arbitration to challenge American laws that have damaged their businesses. With that said, the only way to implement such a provision is to accept the standard ourselves. While the United States will be suable by foreign businesses, it is worth noting that under NAFTA, the United States has never lost an investor-arbitration claim. If anything, the bigger potential for abuse will be against foreign governments who attempt to implement good policy in the name of public welfare, but they get attacked because of the heightened costs to foreign businesses. Intellectual property enforcement will prevent the poorer countries in the TPP from getting the drugs they need. It should be noted however that this was a major obstacle that the US had to overcome with some of the poorer countries in the TPP. In order to surmount it, the US had to agree to shorter patent protection time periods, reducing the typically 12 year period to five to seven, depending on the patent. But that period could still prove to be too long, and many foreign governments simply cannot afford to pay for the exorbitant prices of some of these pharmaceutical drugs, even at discounted rates. While businesses under the TPP have agreed to continue to allow some creation or marketing of generic medicines using their patents, the intellectual property section of the TPP is one of the heftiest chapters and it remains to be seen how the interactions between all of these intellectual property rules will play out. The deal will not protect the environment in practice. Perhaps the most significant drawback to the TPP will be the environmental effects in practice. While each and every country will be required to comply with the environmental provisions of Chapter 20, the countries themselves will have to bring violations of the TPP’s provisions to a dispute resolution body. In fear of retaliatory or cross-claims, countries may be hesitant to actually bring violations of some of the provisions if the cost of adjudicating is simply too high in the short-run relative to the long-term damaging effects of environmental pollution. Essentially, this will also mean that businesses will find more pressure to compete internationally, forcing them to lower their costs. Environmental regulation can be costly to comply with, and many businesses will likely try to skirt around the rules as much as possible to lower costs. To read the entire text of the TPP in full, click here. For a summary of each chapter, click here. Now that you have all the information, decide which side of the debate you stand on and feel free to comment below. James Harmoush is a 2L at the Sturm College of Law and the Online Managing Editor of the Denver Journal for International Law and Policy.